> Shape careers. Don't just get you jobs. Find jobs for maids, drivers, delivery boys. Being one of the most reliable placement consultancies in India, Core Career has through the years provided high-quality recruitment services. We provide staffing solutions to competent employees of diverse corporate companies including BPO, IT, Technology and others. The focus is always on understanding your staff requirements and the job profile, before providing you with the most appropriate candidates through best placement consultants in India. We have catered to the staffing requirement of more than 100 top clients through our wide range of recruitment services which includes permanent recruitment, bulk hiring, outsourcing, blue collar, internships, training, and resume writing, to name a few. We are one of the manpower recruitment firms in India recognised for our impeccable customer service. Inspect the CV and ask for clarification of every uncertain point during the interview process. Provide the employees with a written contract stating the legal requirements, the company’s policies and procedures. Follow a consistent format for the job description, stating accurately the duties they have to undertake. Make sure the one you hire can blend well with the culture, possess the required skills, have trust in the company’s vision, and interacts with his team. Create an appraisal form to evaluate the employer’s performance throughout the year. Hire and allocate overseas employees by considering the outcome you desire. With Core Career, the recruitment process is not tiring anymore. We follow the below-mentioned steps to ensure every client approaching our agency can select the best candidate. The job is posted on the website and candidates with matching CVs are reviewed. Outside candidates are short-listed from job portals and employee referrals. Resumes are screened to match the requirements. The shortlisted candidates are approached and CVs forwarded to the employee. Hiring manager review the CV before scheduling an interview. Reference of the candidate is checked and if selected job offer is extended. If the candidate declines the offer a new list of shortlisted candidate is provided. Another candidate is provided if the selected candidate leaves within 3 months. Have a clear objective of the resume. Structure it according to the job you want to apply for. Don’t describe in details all your accomplishment. Keep the language simple and grammar correct. Make more usage of bulleted statements so that reading it becomes easy. Match the keywords specified in the ad with your resume’s content. Highlight only your positive points and get rid of all irrelevant information. Limit your resume to 1 or 2 pages. Get your resume reviewed before sending to the hiring manager. Advertise the job opening on all the vital online job portals. No fee is charged if candidate is not hired. If the selected candidate leaves within 3 months, a replaced candidate is sent. Shortlist the apt CVs so you have less to monitor, thus saving you valuable time. Assess the candidate’s skills and send only the best ones for the interview. We help to connected with professional network and build relationship. We have huge database and experienced recruiters. Professional representation and interviewing support. 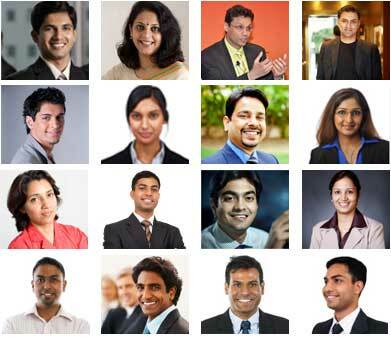 We offer satisfactory recruitment services all over the India. To know more feel free to contact us. Email at rajiv@careersatcore.com or call us at +91 98300 27668 for any queries and information. Core Careers, one of the best manpower consultancy firms in India, provides complete recruitment services to more than 500 clients across the country. Core helps you put your team together. A mix of traditional methods and technology helps you reach the best talent in the market. Core helps you fill the position in time, and for just as long, as you need to. Finding a good and trustworthy domestic worker is a full time task. Core helps you find skilled workers for your home, office & factory effortlessly through our network. Core helps you find smart and talented interns for your new projects. You could retain them as full time employees. Core Careers, a reputed placement agency having footprint in Kolkata, Mumbai and Bangalore, helps you find the right job at the right place on the right time through its special job search assistance. Core enters into partnership with leading training institutes and provides training programs that add value to your career. Take our expert advice over the phone or via email and get your resume upgraded to professional industry standards.